Cold and flu season has already hit – and it seems early. My coworkers have been sniffling, sneezing and hacking their way through the workday since late last week. And while my first line of defense is to limit exposure, try as I might, I can’t control the behavior of other people. While I might call and urge them to stay at home and heal, they invariably head into the office with snot rags in tow. “I’m on the mend,” they’ll say, stifling a sneeze. “Just don’t come too near,” they’ll warn as though the virus has the courtesy not to venture beyond an invisible perimeter. So, when the bugs of autumn and winter start making the rounds, I start working on boosting immunity naturally based on three primary methods: 1) whole food supplements, 2) nourishing foods and 3) preventative measures. Acerola tablets, elderberry tincture, probiotics and cod liver oil all deserve extra attention during the cold and flu season. Acerola is a berry that is extraordinarily rich in ascorbic acid – a nutrient known to enhance immunity and which, according to some research, is essential in the prevention and treatment of the flu1. Elderberry may also prove effective in the treatment of the flu – particularly the H1N1 strain that has everyone and her mother concerned. Indeed, recent research indicates that flavonoids found in elderberry compare favorably to tamiflu and other pharmaceuticals in the treatment of the H1N1 strain of flu2. I also make sure to continue taking probiotic supplements and cod liver oil. Probiotics work synergistically with the immune system – increasing your body’s ability to fight pathogens and reducing incidence of fever, stuffy noses and coughs3. Cod liver oil is high in omega-3 fatty acids as well as vitamins A and D. Vitamin D, in particular, plays a strong role in immunity and may also reduce incidence of cold or flu-like symptoms4. You can find most of these immune-boosting supplements at any well-stocked health food store, but they are also available online (see sources). We also make heavy use of particularly nourishing foods during the cold and flu season. Fresh garlic, lacto-fermented foods, foods rich in ascorbic acid and homemade chicken stock are the focus during the cold and flu season. Traditionally used among many peoples, garlic is known for many and varied benefits including its ability to fight colds, the flu and upper respiratory infections. 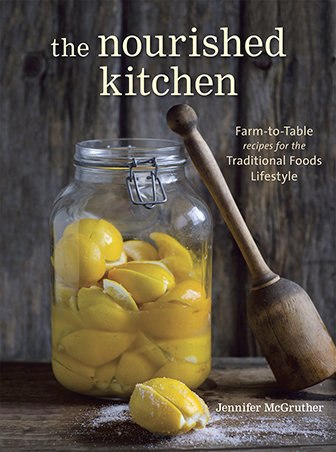 I also make it a point to serve plenty of lacto-fermented foods – particularly Moroccan preserved lemons which are rich in both beneficial bacteria and ascorbic acid – due to the beneficial effect of probiotics on the immune system. 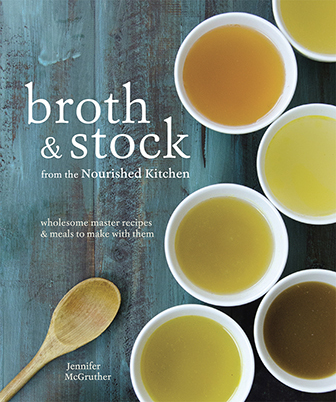 Chicken bone broth, perhaps more than any other food, deserves a mention. Chicken soup, like garlic, appears cross-culturally in reference to its healing properties. Many components of traditional chicken bone broth contribute to its anti-inflammatory properties, and chicken stock is known to mitigate the effects of upper respiratory tract infections5. We also make sure to eat plenty of foods rich in ascorbic acid – currants, peppers, berries and citrus all present good dietary sources of ascorbic acid. We also are mindful of preventative measures we can take to improve our immunity and limit exposure to those wintertime bugs. Beyond basic measures of handwashing, avoiding sick people, not smoking and not drinking to excess, we observe a few other preventative measures. Namely, we boost our vitamin D levels by getting plenty of sunshine and we avoid refined sugars. A diet high in refined sugar reduces immunity by disrupting the manner in which absorbic acid can be used by the body. Good food can do wonders for optimal health. Ascorbic acid role in containment of the world avian flu pandemic. Experimental Biology and Medicine. 2007. July. Elderberry flavonoids bind to and prevent H1N1 infection in vitro. Phytochemistry. 2009. July. Probiotic Effects on Cold and Influenza-like symptom incidence and duration in childhood. Pediatrics. 2009. August. On the epidemiology of influenza. Virology Journal. 2008. February 25. Chicken soup inhibits neutrophil chemotaxis in vitro. Chest. 2000.
great suggestions and also very nice to have the cited refernces. I feel you. It’s NUTS how people are blowing the flu out of proportion in the first place and then assuming that flu shots and tamiflu are the only ways to combat it. People are aghast that we’re not doing flu shots either, but I’ll tell you this: while traditional foods doesn’t necessarily completely prevent us from getting sick, I notice that we never get hit quite as hard as other people. Seriously – all we need to do as a nation is practice good hygiene (sans triclosan), cut out the sugar and load up on the ascorbic acid. But you won’t hear anyone recommend that because … afterall … where’s the money in common sense, eh? Great suggestions. Reading this makes me so happy I don’t work in an office anymore…but still I need to remember to implement this anyway, as we do go out in the world! Don’t forget to add Sleep to your list of ways to fight illness! You need 8 hours a night consistenly to keep your immune system in top form, and more if you are feeling under the weather. Mm… napping. The other day I heard Dr. Oz recommending vitamin D as a secret weapon against the flu. He was recommending a higher dose than what has been recommended in the past. I was very glad to hear that, and even gladder that I was getting my vitamin D from Cod liver oil. I also caught a bit of that Dr. Oz show and was actually happy in his recommendations. Sunlight and Cod Liver Oil! What a great post. I’m about to do a similar post about some steps we can take to boost our immunity. For me it’s so difficult to stay well during the cold winter season. Most of my family members work in Social Services and are constantly in and out of homes, surrounded by hundreds of different kids, mothers, grandma’s, etc… Nasty germs everywhere!! Re: vitamin D and sunlight, forget getting enough D from sunlight this time of year if you’re in the United States unless maybe you live in Miami. The later in the year it gets, the more true this will be. Better stock up on the cod liver oil. I’ll still worry about H1N1 because a bunch of people have died here locally, including some kids. We had actually considered getting me and my daughter the vaccine even though I’m suspicious of it, because her dad has asthma (we live together but are not involved anymore) and he’s the last person in the house who needs to get sick. Granted, some of the victims of the disease have had no underlying health problems going in, but many of them have had chronic conditions. I refuse to judge anyone who skips the vaccine though. I’m a strong believer in health freedom and the right to consent to care. If it weren’t for my little girl’s dad, I wouldn’t have even considered touching the stuff. May be a bit late though. My daughter got hit with wet nasal congestion very suddenly last night (we co-sleep), and she has a temperature today. 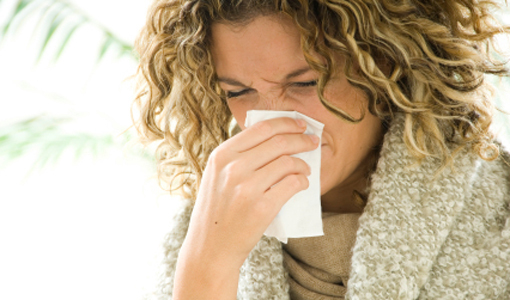 Regular flu season still has not begun yet, and colds usually are not accompanied by fevers. I suspect I’m going to have an interesting 5-7 days. Sigh. Oh I was going to mention the sugar thing–I got this free issue of a cooking magazine in the mail, one of those that provides “healthy” low-fat recipes… retch… anyway, they had a brief blurb about a study that’s just come out. Apparently, eating sugar of any kind (except the sugar in fruit, they hasten to assure the reader–which is probably true anyway) causes white blood cells to sort of stall. It’s been observed for a while now that sugar seems to mess with immune function and now they know for sure why. This on top of the one I read about not long ago that showed saturated fat is necessary for optimal calcium absorption… I wonder how much longer it’ll be before people clue in? I am glad you posted this again! I would also add wild oregano oil, which is antiviral/bacterial. I use this, garlic, vitamin D and probiotics during fall and winter and have not been sick in 3 years. If you do get sick, I would add the herbs boneset (helps those aches and pains) and wild cherry bark for coughs as well as zinc. Great post Jenny! power to eat well,rest and take supreme care of your health. the choice is ALWAYS ours. thank you so much for this information..fermented cod liver oil. new to me! One of my Turkish friends here gave me a old recipe for colds that’s thousands of years old. As a Canadian I didn’t believe it. Great advice – thank you – although I would also add regular exercise to the list. I’m an RN and have never taken the flu shot inspite of intense pressure from my upper management. I’ve been at this job 11 years and never called out for the flu! I practice excellent hand washing, eat healthy foods that my Grandparents would recognise, avoid commercial produced meats, all processed psuedo foods, drink a little wine, walk for pleasure/exercise, garden to grow some of my food. We need to take control of our lives and health. I’m over 55, wear an 8P and can out work most of my younger coworkers. It’s so sad how unhealthy we are becoming as a Nation. I live in Michigan, and unfortunately for me, sunshine is hard to come by this time of year. Thankfully, pastured lard and cod liver oil provide for my family and I our much-needed vitamin D! We definitely make a batch of Elderberry Syrup every year at this time to take as prevention and also more frequently when any crud comes on. Elderberry in particular is fantastic for halting and preventing the flu. We have not had flu in our family of 6 in about six years. And we never get flu shots!